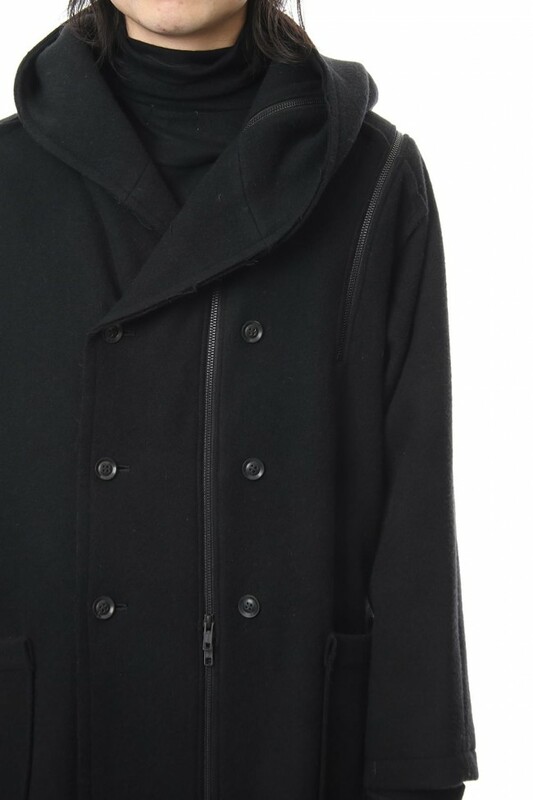 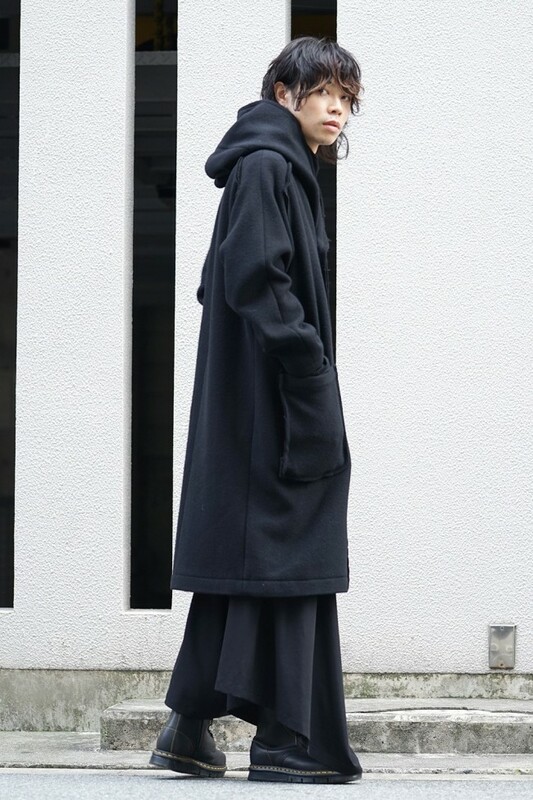 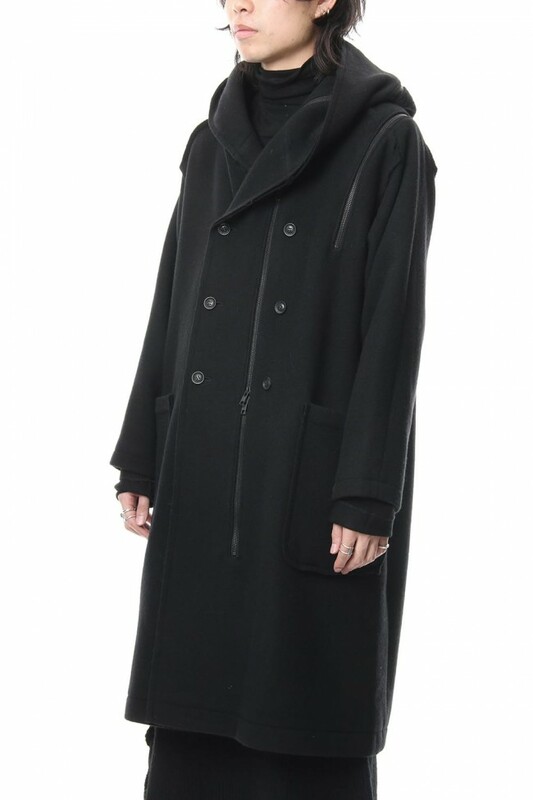 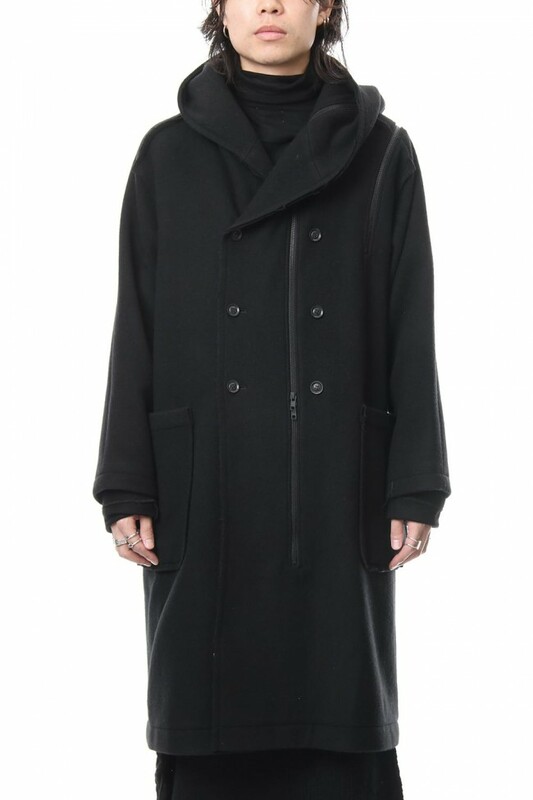 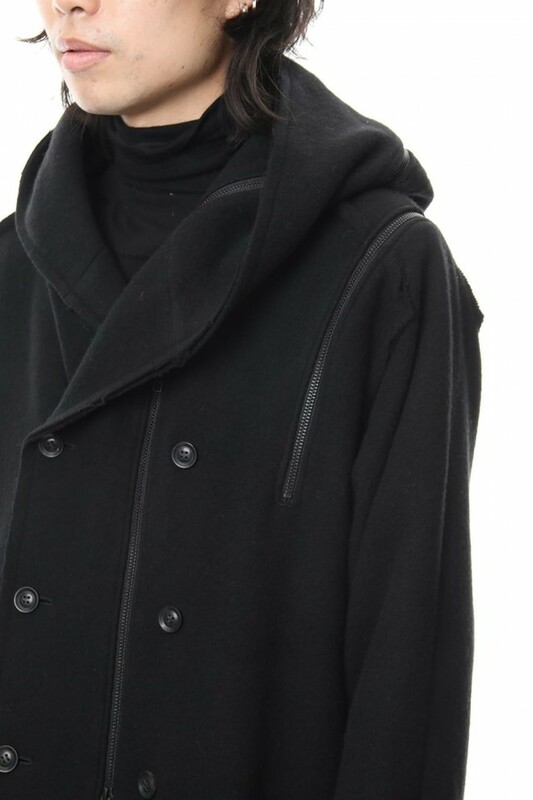 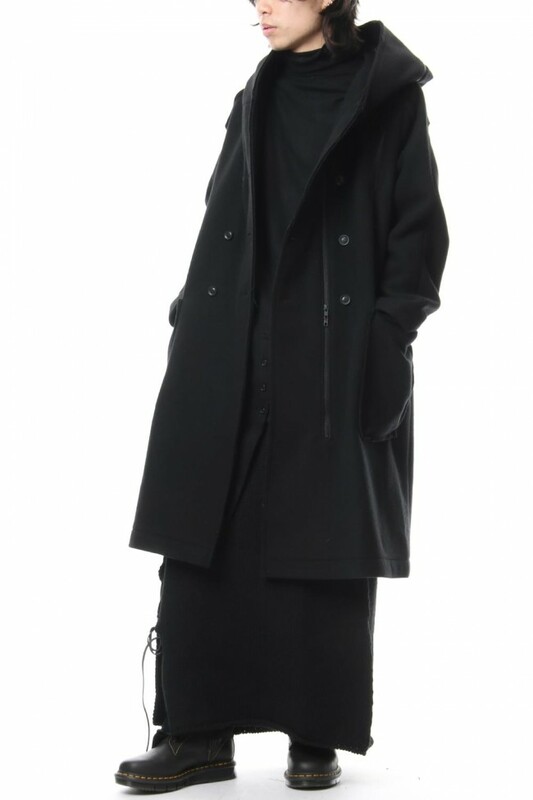 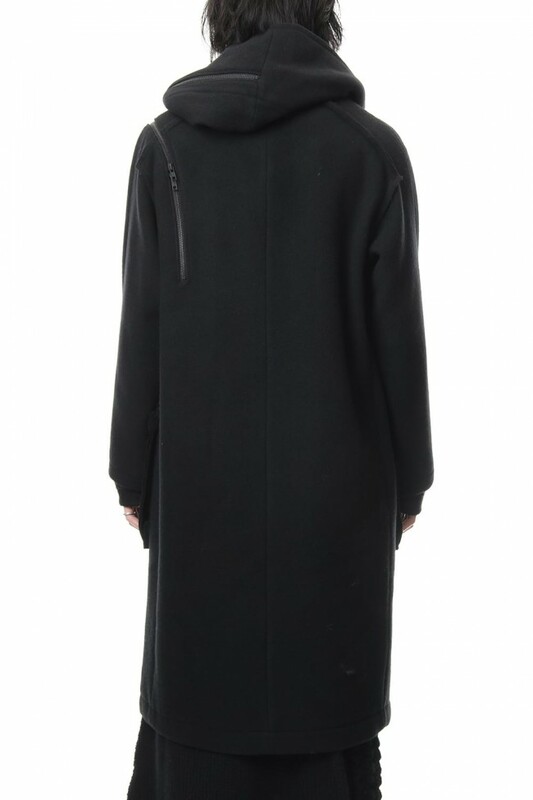 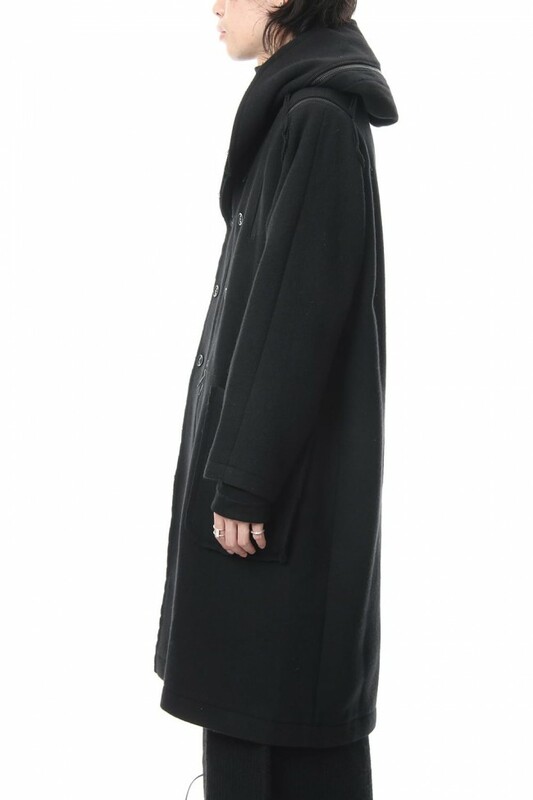 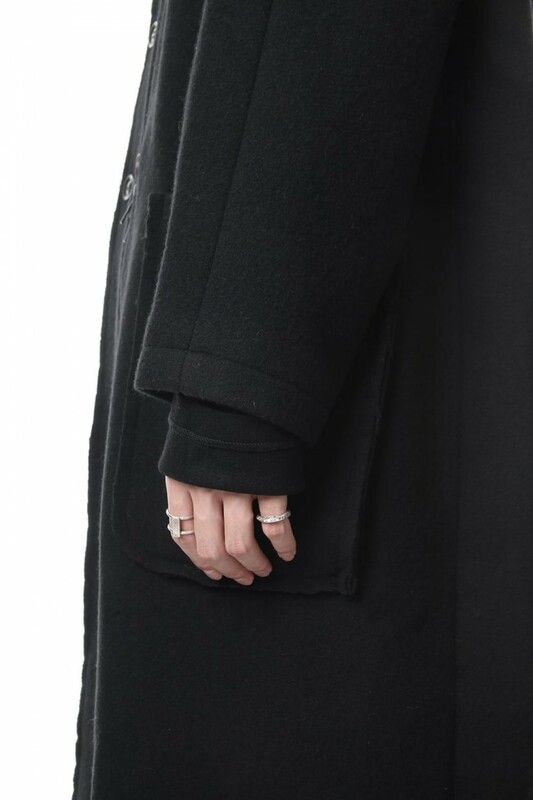 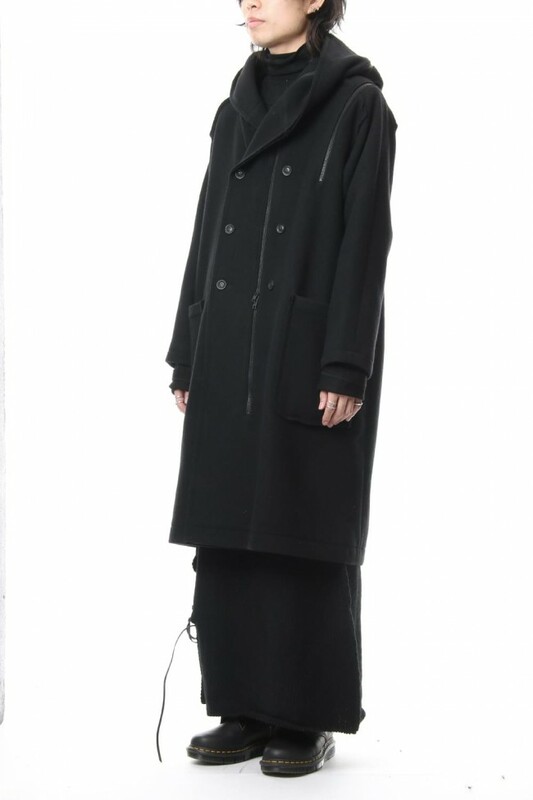 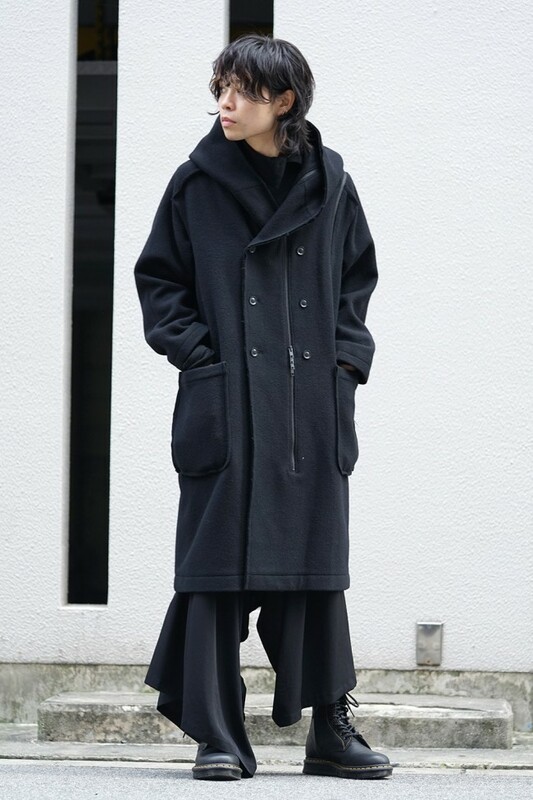 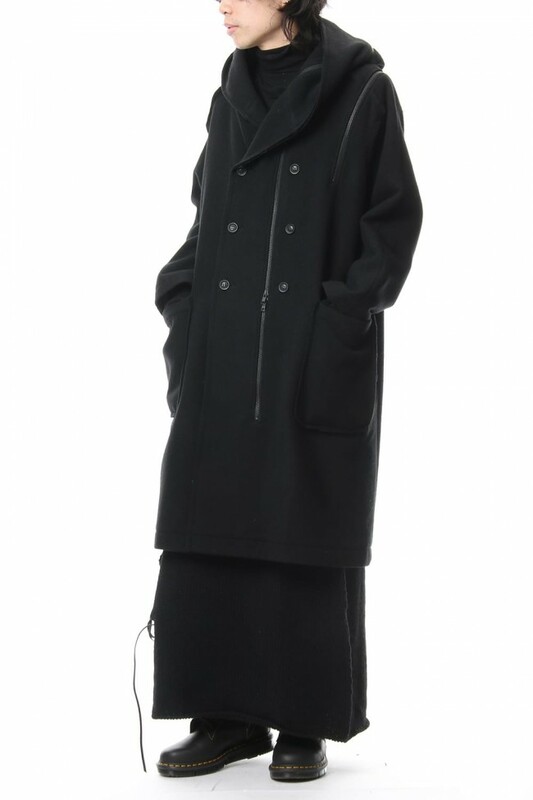 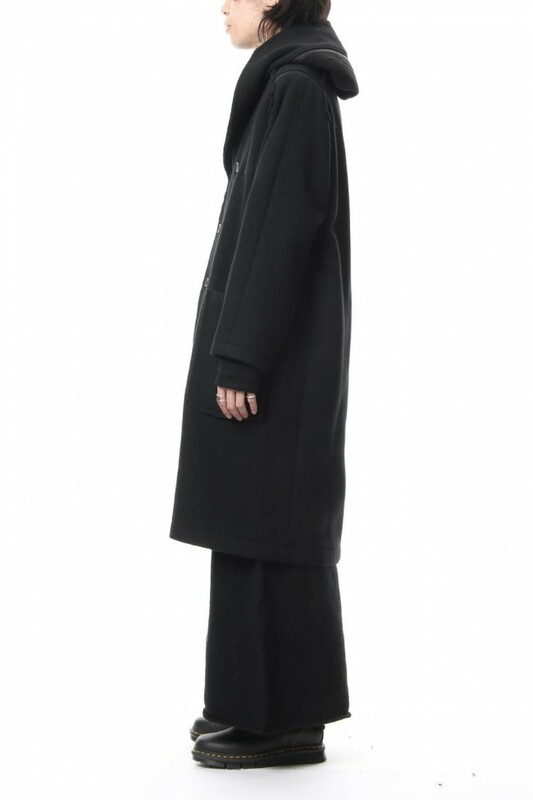 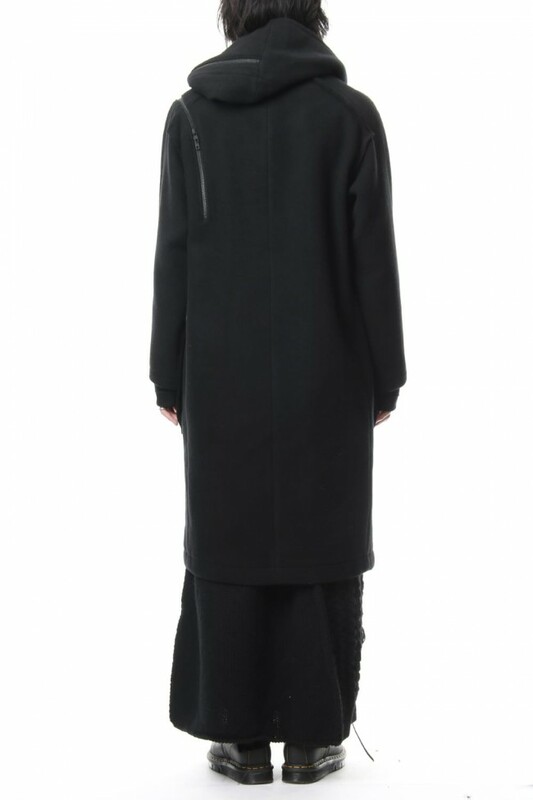 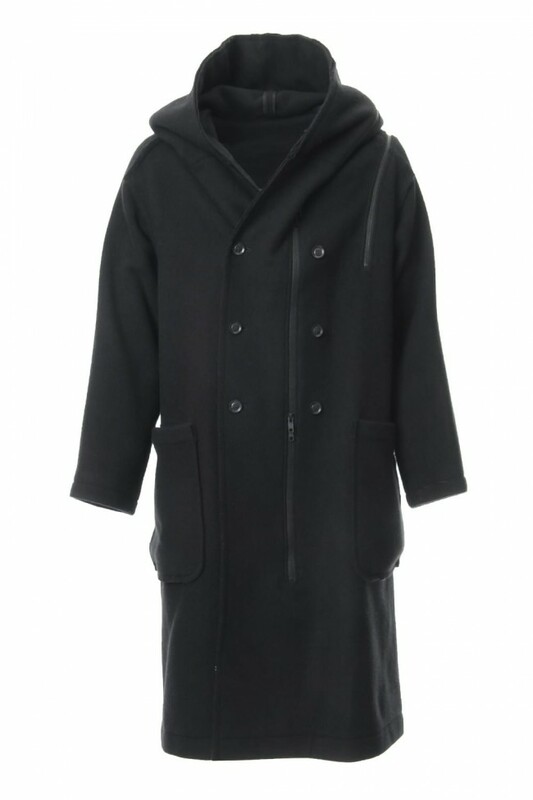 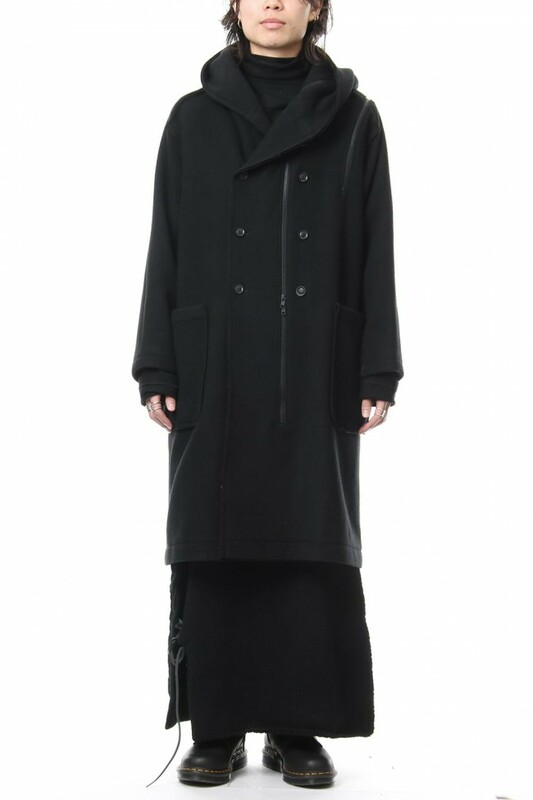 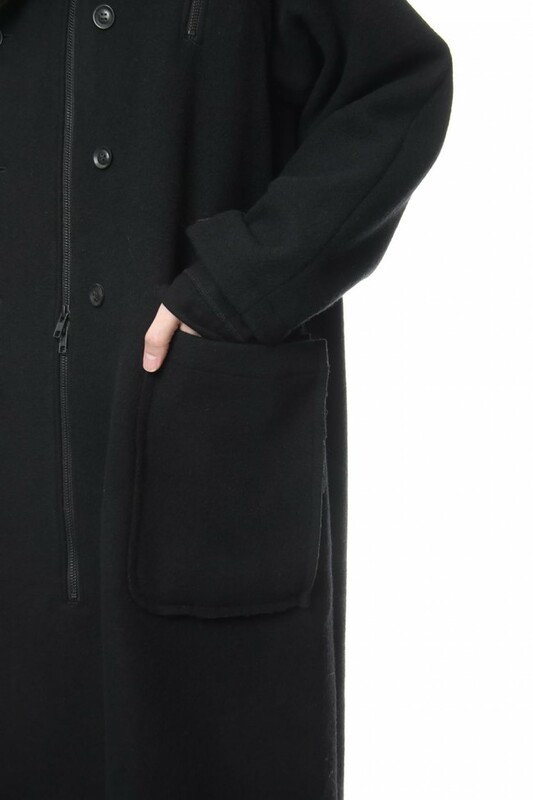 Hooded long coat made with fastener design using Wool Viyella fabric. 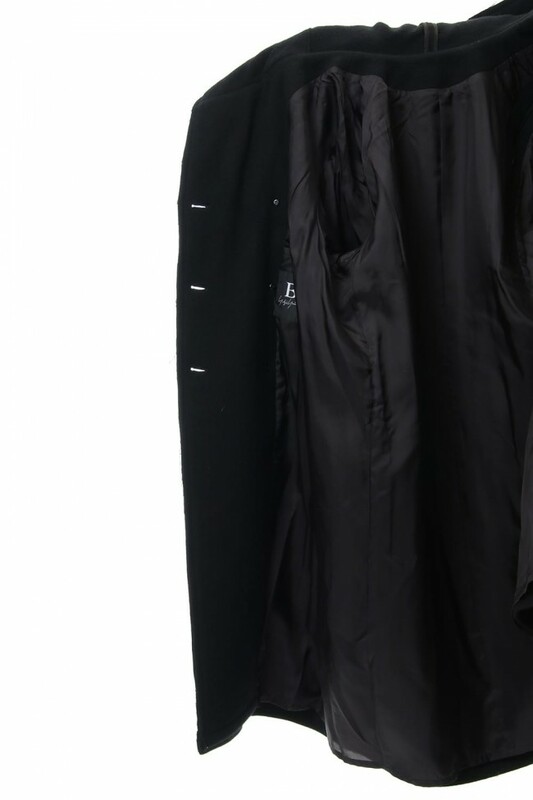 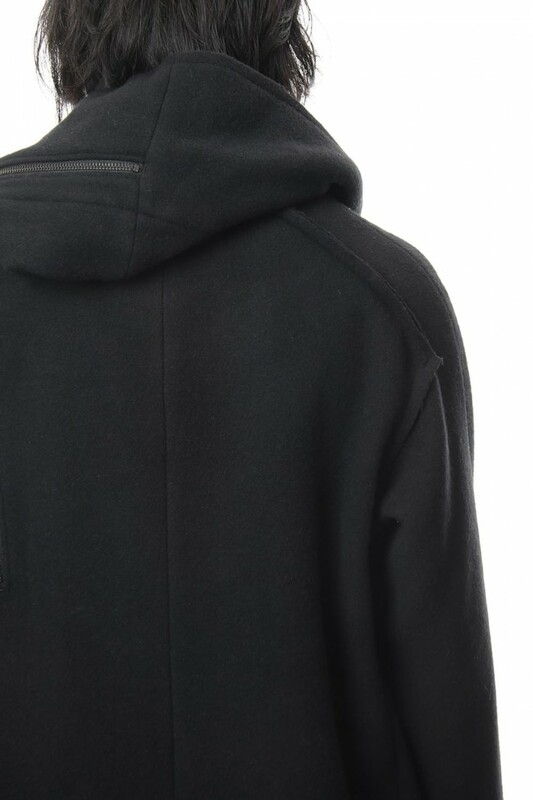 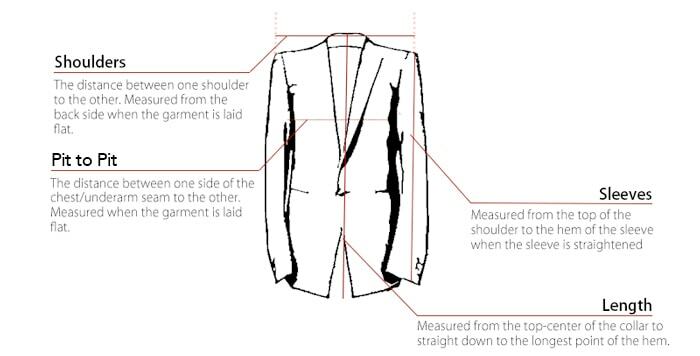 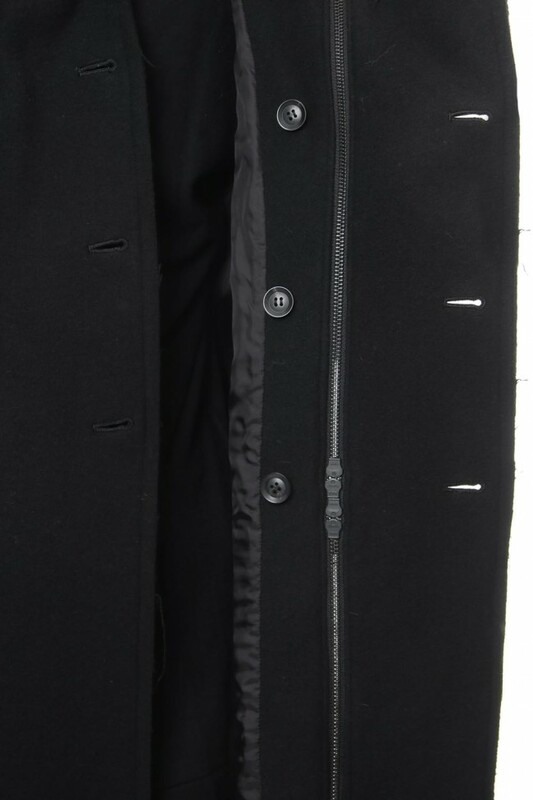 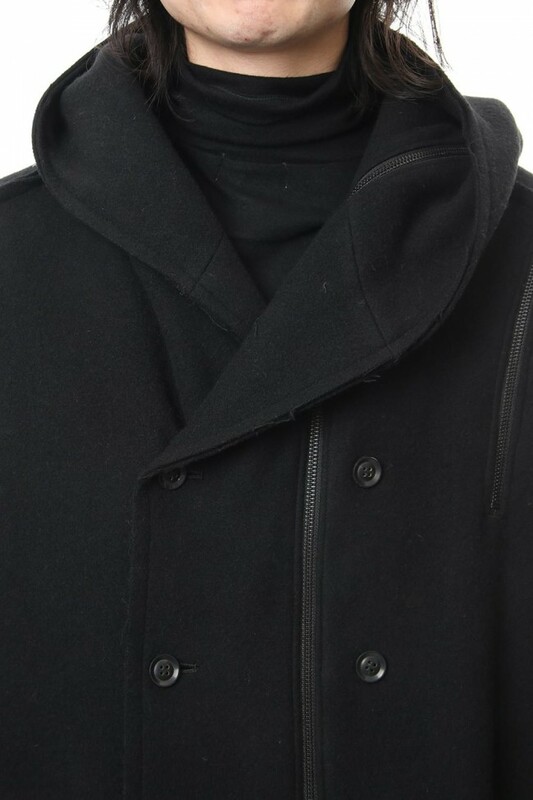 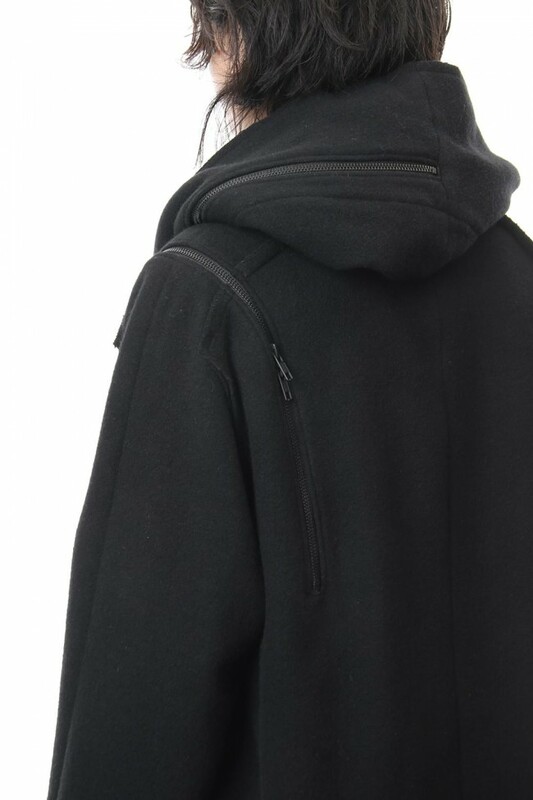 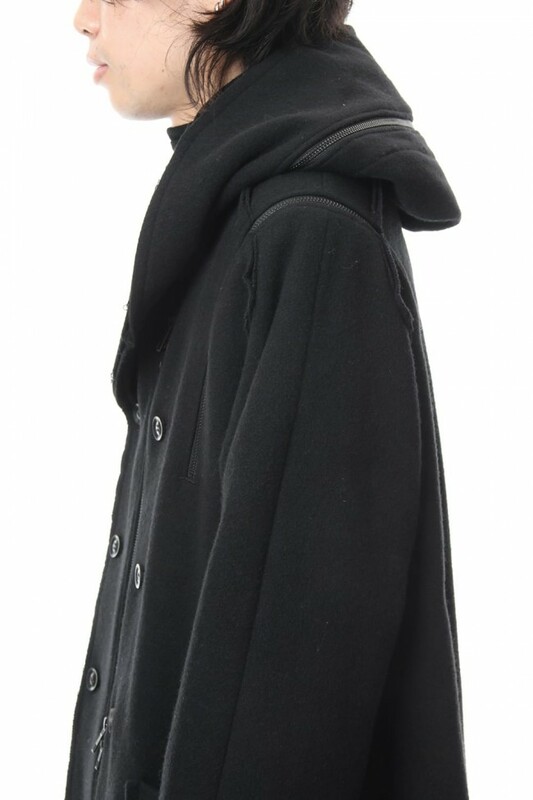 The front has a double-button coat featuring a hood portion and a fastener that was applied from the front to the back. 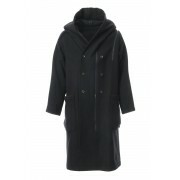 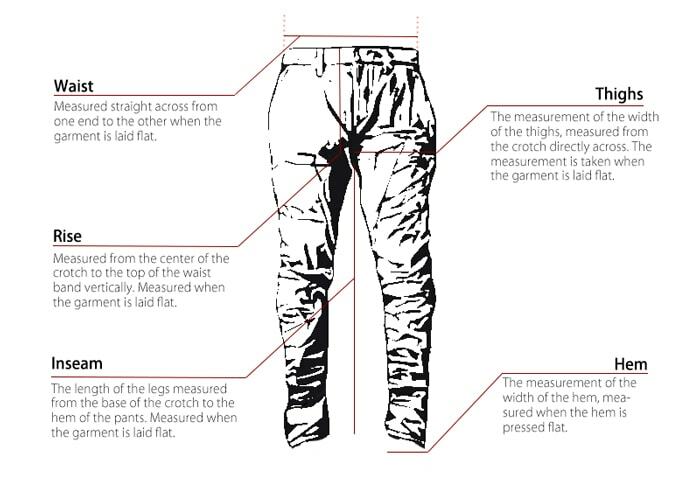 Made out of super 100 wool 2/80 thin Viyella fabric yarn count, it has a swelled up characteristic.